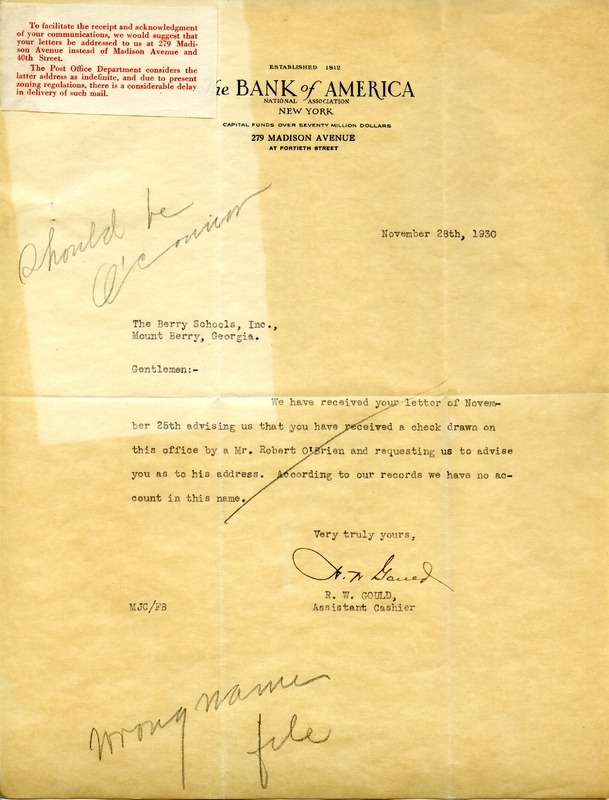 R. W. Gould writes to The Berry Schools in answer to their request for the address of Mr. Robert O'Brien, saying that they have no account for someone of that name. R. W. Gould, “Letter to The Berry Schools from R. W. Gould.” Martha Berry Digital Archive. Eds. Schlitz, Stephanie A., Chelsea Risley, Aaron Jackson, et al. Mount Berry: Berry College, 2014. accessed April 21, 2019, https://mbda.berry.edu/items/show/13580.